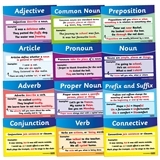 This fantastic set of 11 posters is perfect for making an educational classroom display that can help your pupils with a wide range of English grammar skills. 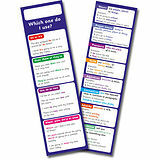 Each poster is A4 in size, made of thick card and focusses on a different area of literacy. 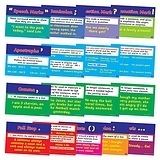 Perfect for use on classroom displays, as flash cards or in our brilliant worksheet holders.